Providore at SM Aura is Raintree Restaurant'slatest addition to its line of iconic restaurants. Raintree Restaurant is the same group behind Izakaya Sensu, Chotto Matte. Chelsea, Simple Lang, Kabila, and Stella. And just like the other affiliates, this casual dining restaurant was designed to impress with more choices in dining. It is a one-stop shop for people craving for classic Filipino dishes, meryenda, coffee, artisanal cakes and pastries. They have baked and local artisan products displayed on one side. 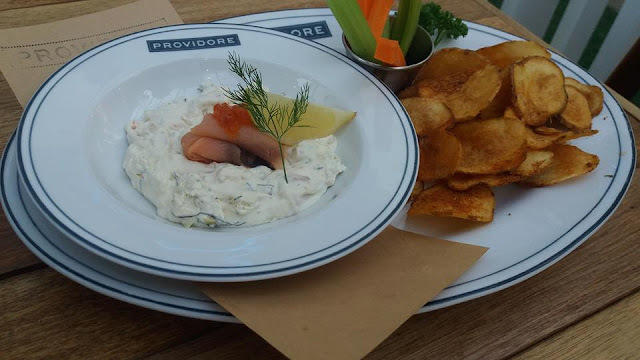 Providore Backyard had recently been launched to provide guest with an alfresco dining area for brunch, lunch out with friends or afternoon snacks. By late afternoon, Providore's newest place morphs into an amber-lit bar and bistro serving wine and beers. It is a spot where you can always expect good live music experience! 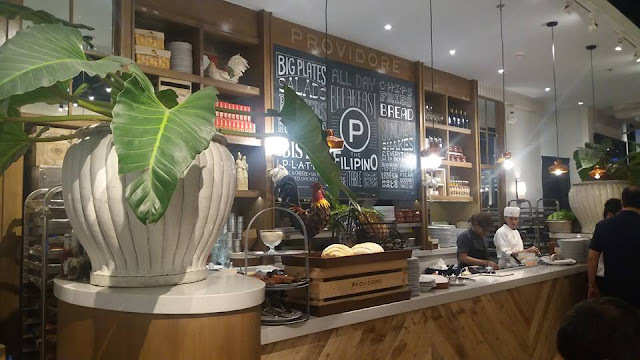 Providore Backyard's intimate ambiance is conducive for capping the night! And I got to experience this new kind of chill along with the other guest when it opened. Nothing helps a friendly crowd to relax and enjoy each other like a classic cocktail. They mix up some recreational beverages to help you unwind from a long day at the office, and enjoy the company. 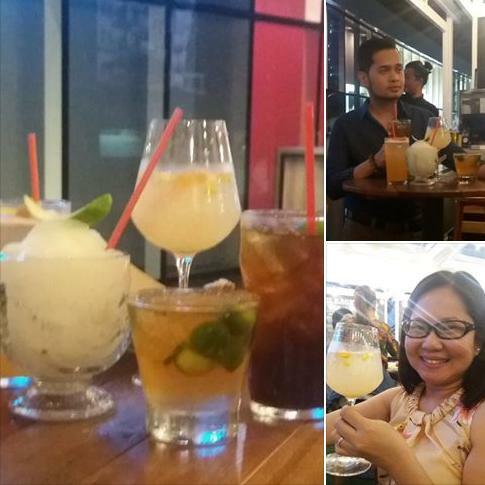 Our tastebuds were tickled with drink cocktails such as White Sangria (P 275), Mojito Backyard (P 195), Margarita (P 195) and Weng-Weng (P 225) while listening to chill-out tunes from its acoustic performer. The cool evening breeze on the outdoor deck was so perfect for chilling out as we sip drinks and converse in low tongues. Their bar chows were straight up. 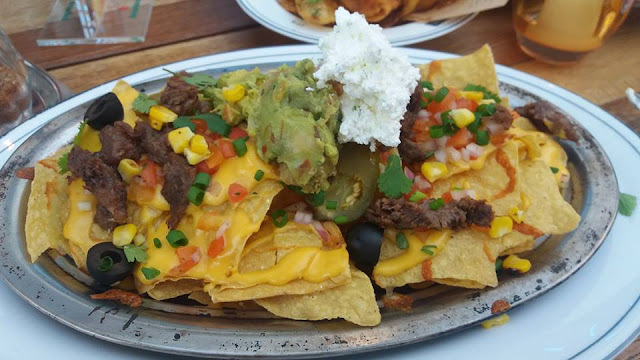 We enjoy the Steel Plate Nachos (P 395), which was a perfect booze companion. The city’s best bar food is at the Providore Backyard! With a night of drinking comes my insatiable craving for all things hearty and fried that Providore Backyard provided well. Their Zuccini Fries was a great idea! It was generously topped with grated Pecorino (hard Italian cheeses made from sheep's milk) and the dip complemented the fries. Cold Smoked Salmon (P 350) are potato chips served with a dip made of dill lemon cream cheese and artichokes. The smoky blend of salmon and cream cheese swirled together gives it a nice tang! Hot Garlic Butter Potato Chips (P 175) were with extra-crisp and spicy. 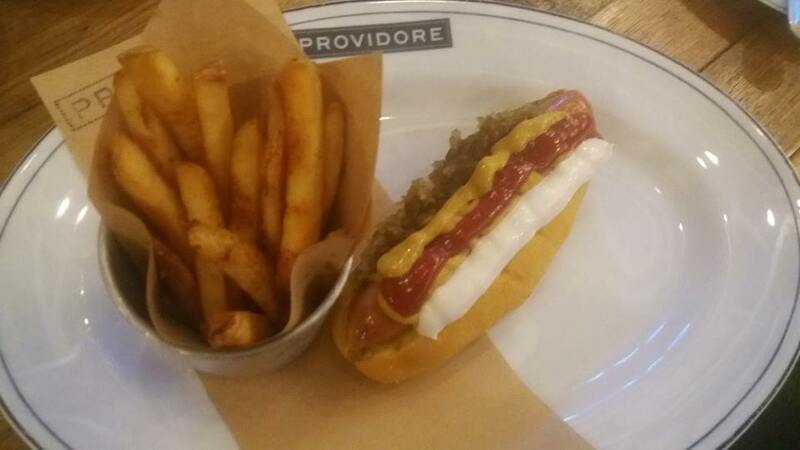 We chowed down on their classic(P 230) and chili dogs (P 295) served with French fries. Beer Battered Seafood Platter was my favorite! It is popular as it gives spiced, handful layer of fried seafood. Fish, squid rings, prawns and crabs were fried to a golden brown until they’re crunchy on the outside. 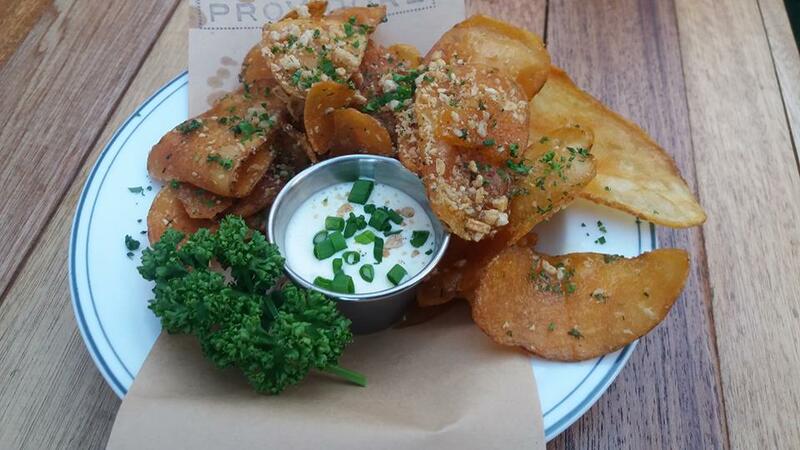 I'm impressed with Providore Backyard's service and food choices. 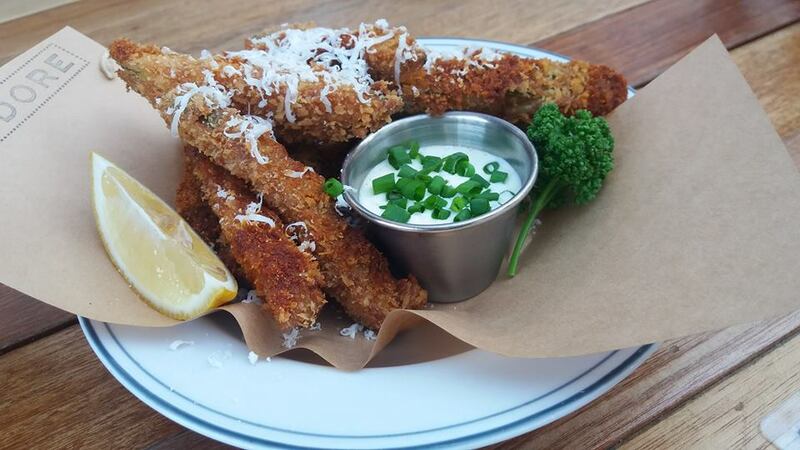 This bar knows all too well what buzzed imbibers are looking for, so grab a stool and eat up at Providore Backyard! McKinley Parkway, Fort Bonifacio, Taguig City. I've been to SM Aura few times only because I live outside NCR but I will take note of this resto so I can try it when we have a chance. It always excites me to try new diners especially if I am with my boys. They have such amazing appetite and they could really eat big time. The food served to you are real mouthwatering. Can't wait to try the place. Oh yes, the food was great. Try it. They do have a lot of excellent food choices at Providore. I'll check them out when I'm at SM Aura. They serve mostly Italian at the Backyard. Another exciting resto from Raintree! The serving is quite big, the Seafood Platter is perfect for the cocktails. I'm going to visit this restaurant next time I visit SM Aura. And I'll pick Chilli dog and Nachos ahead. They look so tasty! Every food you feature looks delicious and mouth-watering! This looks like a perfect place for a lovely lunch or dinner with the family. I hope we can visit the place one of these days. Drools! This is what I need now. Chill, relax, good food and good companion. Price looks affordable and food's worth it! I will bring my friends there, looks like a cozy place to hang out. That plate of Nachos looks so inviting. I have to visit Providore soon..
Oh my! The food looks inviting. :) Will keep this in mind when we visit Aura. 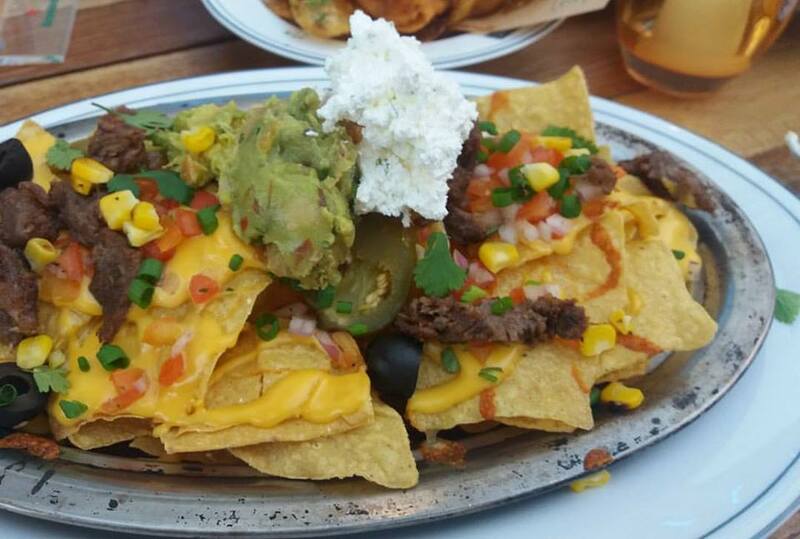 The food looks delish especially the nachos and the seafood platter. All that ale from beer-vattered seafood. And prices are reasonable for a restaurant in the capital! Fast and affordable meal options are enticing, especially for parents who work during the day and feel rushed to put dinner on the table at night. 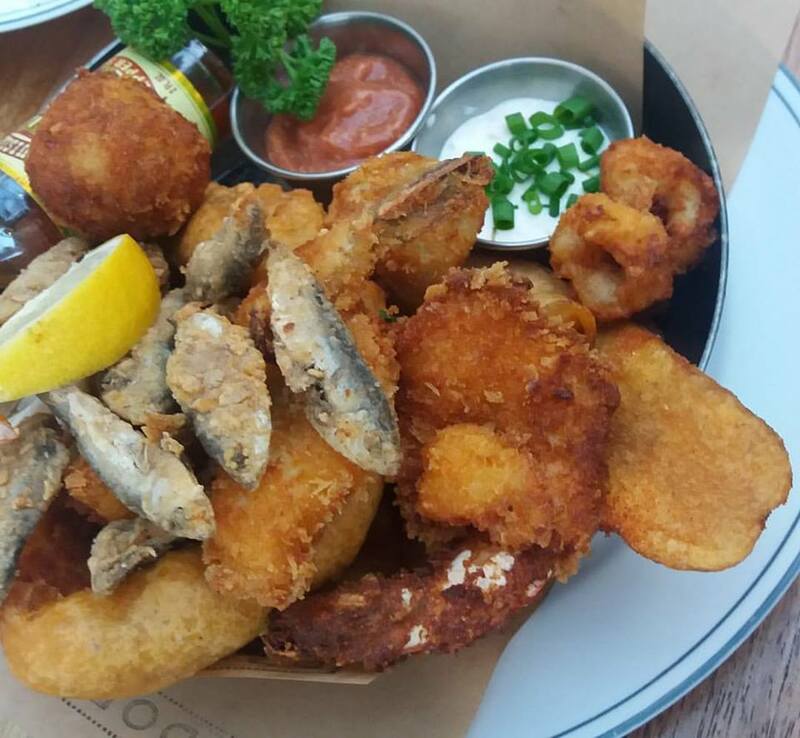 That beer battered seafood platter looks yummy! I want to visit this resto soon. All the Raintree Restaurants serve really good food, I'm sure Providore is no exception. Place and food looks inviting, haven't been to SM Aura that much though (its out of the way kasi) but will try to eat here when we do passby. I've seen Providore at SM Aura but haven't tried dining there yet. The food looks really interesting ha. Will check it out when we go to Aura again. I'm drooling over those delectable comfort food! :) We rarely go to SM Aura though. I'd be sure to check this out when we do. Such a nice place to hang out with friends! 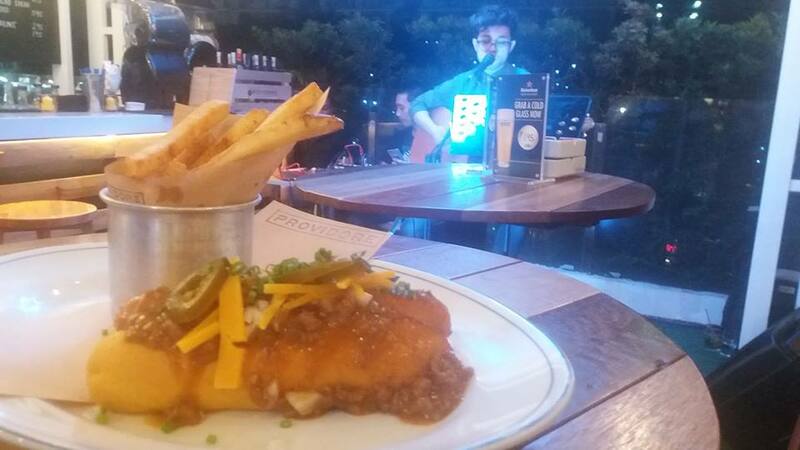 Great food and good music is a perfect combination indeed! It's nice that there are performers to entertain you while you eat delicious foods. I like those interesting fries, zucchini! I'll remember your post when I see Providore in SM Aura. Medyo cheap ang price ha, compared to other Aura restos! Hope the food is good, too!